Is anyone planing to go to the The Wilton model engineering and hobbies exhibition which is being held on April 1 and 2 at the Michael Herbert Hall, South Street, Wilton, Near Salisbury Wiltshire SP2 0JS. in the UK. This is a biannual exhibition run by the Sarum (Salisbury) club. There is always a good turnout of traction engines and other interesting models. All profits go to the local hospital. In addition to model exhibits, there will be a few trade stands, and refreshments will be available. Parking is free and there is disabled access. Admission is £4. Just a reminder for those members living in the south of England. 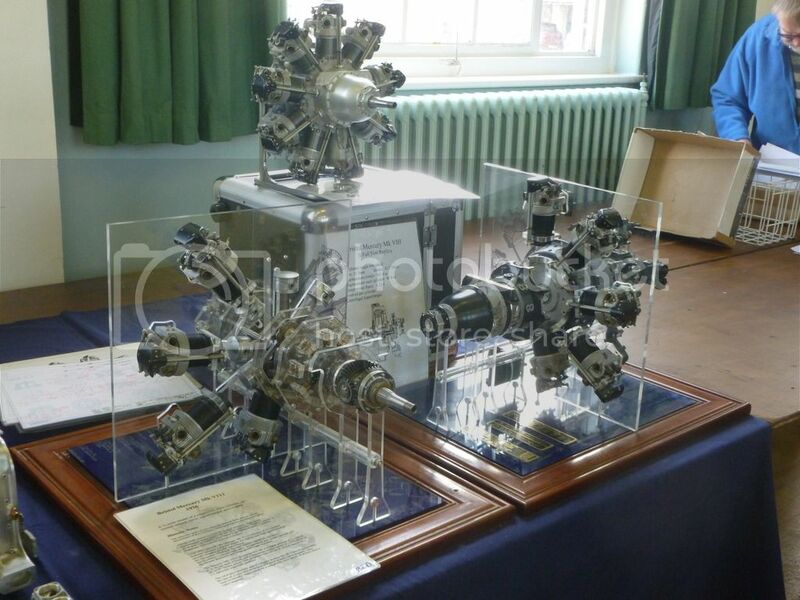 The Wilton model engineering and hobbies exhibition which is being held on April 1 and 2 at the Michael Herbert Hall, South Street, Wilton, Near Salisbury Wiltshire SP2 0JS. in the UK. This is a biannual exhibition run by the Sarum (Salisbury) club. There is always a good turnout of traction engines and other interesting models. 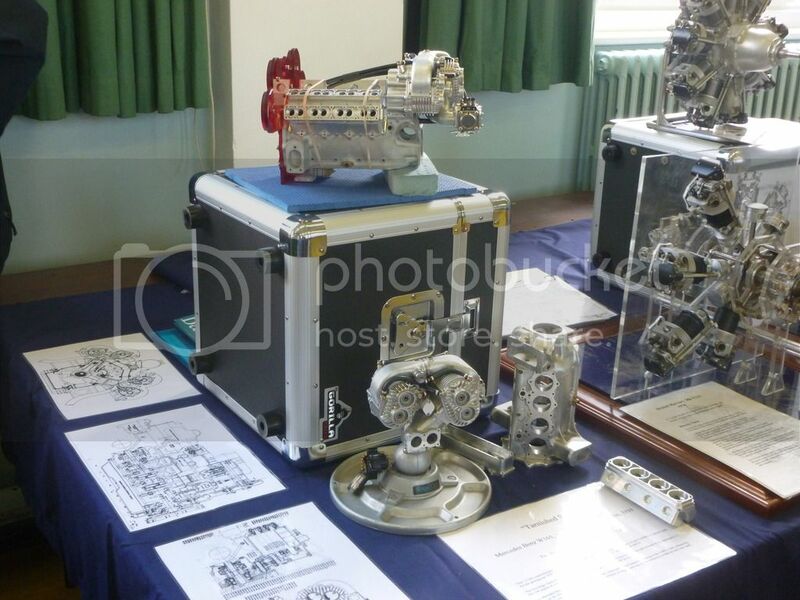 A very pleasant weekend displaying some of my engines at the Wilton Model Show. This is a small club show near Salisbury, Wiltshire, UK. There were many traction engines, both model and full size, steam ploughing engines and exquisitely modeled steam fairground rides in abundance. Also lots of boats and racing yachts. Only one trade stand trying to sell overpriced rusty junk. Sadly, the visitor attendance was very low and the organisers may not be able to afford to run the show again. "Happiness is a lovely pair of big Bristols"
On Saturday (1st April) one guy asked if I had built these engines. I found myself saying "Sometimes you get lucky at a car boot-sale" He must have swallowed that because he then asked how much they cost to buy. I could not resist saying "Oh it was something like £25, I think"
He walked away muttering something I could not quite hear. They have been displayed at Guildford every year since since I started building them. People must be tired of seeing them and just walk past. Oh, the guy came back later when he realised he had been April fooled and we had a long chat about the details of each model. So all ended well. Wasn't she the one that said "it costs a lot of money to look cheap"
Nice looking models. Any more pictures from the show? A very impressive display of your engines Mike. As a woman gets older the only thing that remains committed to showing her any interest is gravity . Bad Behavior has blocked 14915 access attempts in the last 7 days.